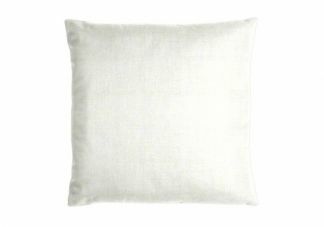 Our Custom Wedding Pillow is a classic beauty that will look great in a wedding lounge area or reception. Our customized wedding pillows allow you to choose fabric, trim, fill, and size to help create the wedding you always dreamed of. We offer a wide variety of indoor and outdoor wedding fabrics. If you don't find exactly what you want, we gladly accept your own material (COM). Whether you are planning a beach wedding or church wedding, let us help make many beautiful memories that will last a lifetime with our custom wedding pillows! 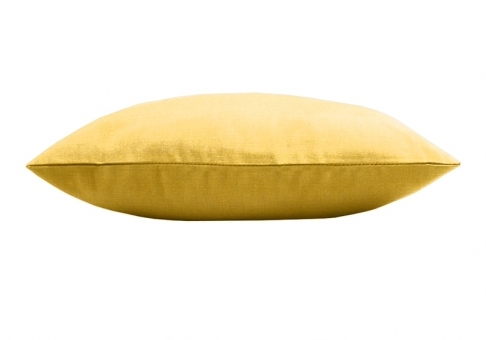 Pillow dimensions are based on measuring along the cut edge of the pillow, not the width of the stuffed pillow. Once filled with poly fiber, the height and width will be slightly less than the measurements ordered. For example, a 12" x 12" pillow will have finished dimensions of 11" x 11". 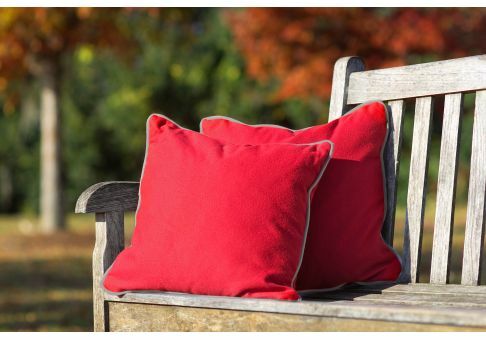 Pillow will have a single braid along the seam. Pillow will have fringe along the seam.